Yummy, I love samosas. 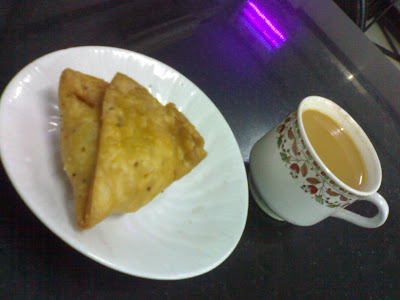 Delicious hot and spicy samosas with a garma-garam cup of chai. lovely city and lovely photos! i just got back from India, Goa, what a great and interesting country you have!